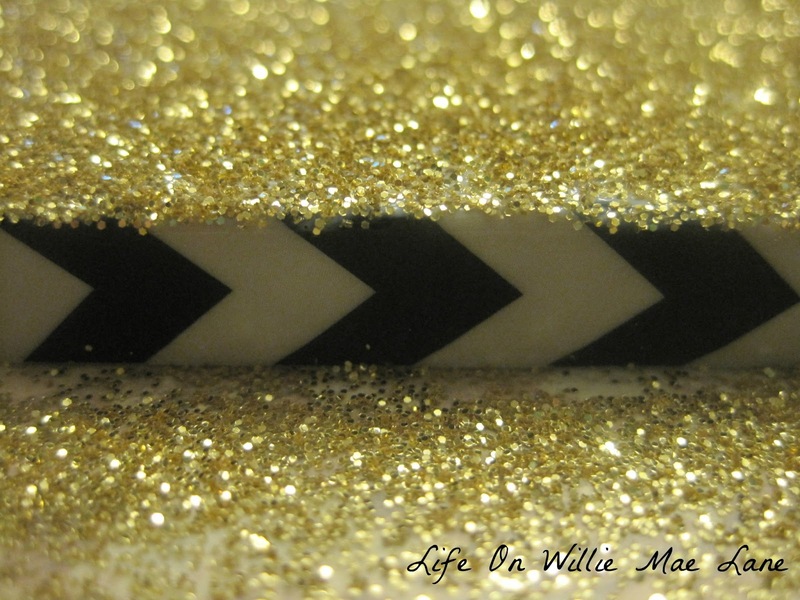 Life On Willie Mae Lane: iPhone Case Redo! OK folks....last post before I sail off tomorrow! I am so excited I can hardly stand it...:) Good thing I had a busy week or I might have burst! 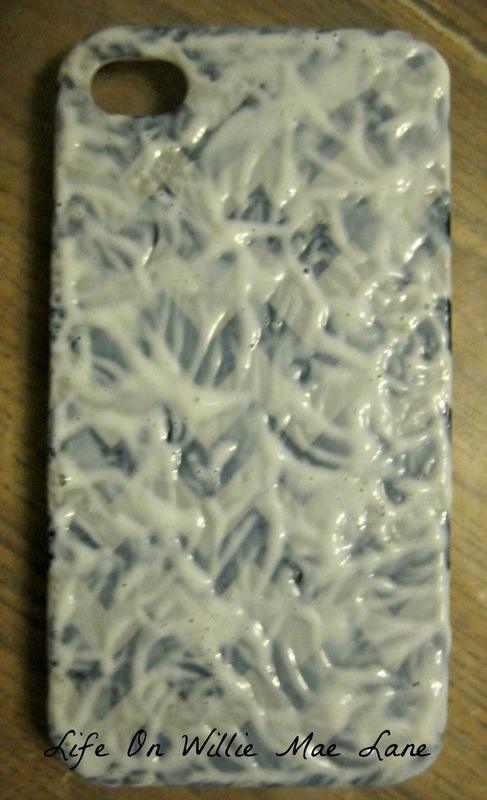 I have a quick little project to share that I have been working on today. 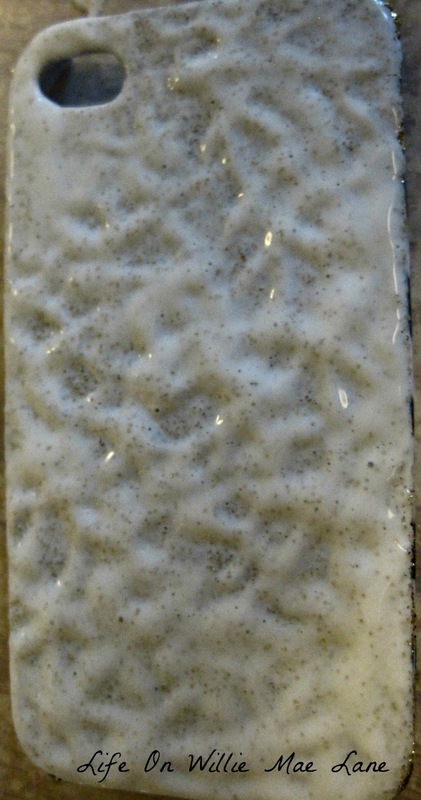 I had an iPhone case I bought a while back that the paint was coming off of. I hated to get rid of it since it still worked fine, so I decided to experiment with redoing it. 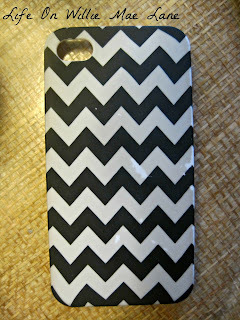 Here is the case....I love chevron! Hard to see, but if you look closely, you can see one of the spots the paint flaked off below. 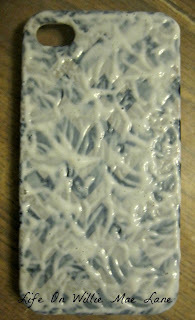 First, I cleaned it and then covered the back with Mod Podge. I didn't do the sides because I didn't think it would work very well. 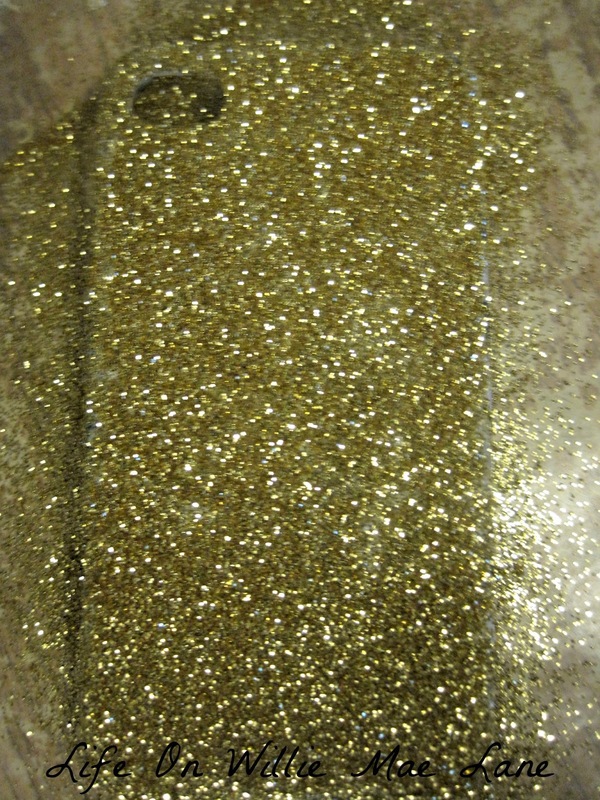 Next, I covered it with some of my fine gold glitter. 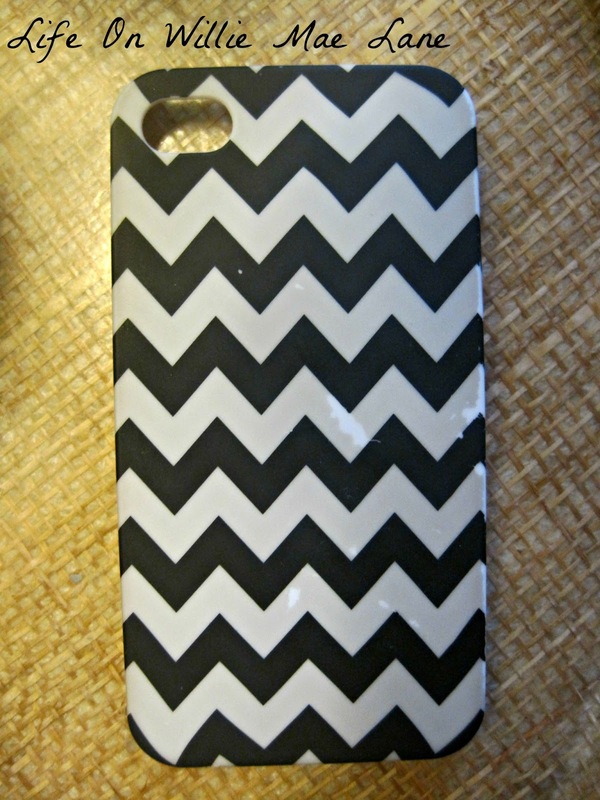 I love the way it looks with the chevron! When I got back home, this is what I found! It may not last long, but hey, it's only a cheapo $4 case to begin with! Here it a shot with the side showing! What do you think? Very glitzy for the cruising gal! How are you still crafting, cooking, and blogging? Be careful - that ship may sail without you! Have fun! Oh, no! I just realized I have nothing to read before bed on Sunday night! Very cool! I'd love to hear how the glitter holds up, whether it gets all over your hands or not. Love it :) Very pretty for a pretty gal. Have fun on your trip! 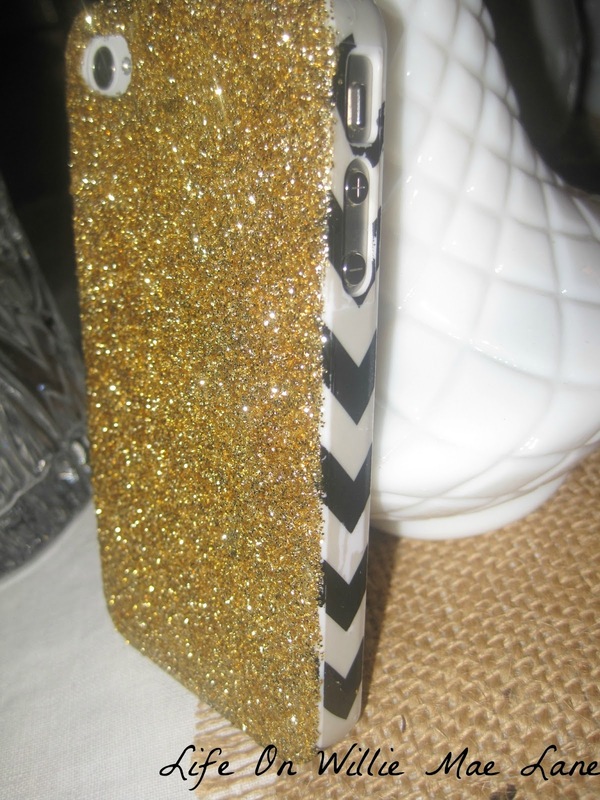 Glitzy Glam! Perfect for your cruise! Have a wonderful time. Well, I hope you are having the much anticipated time of your life. The phone case is adorable. 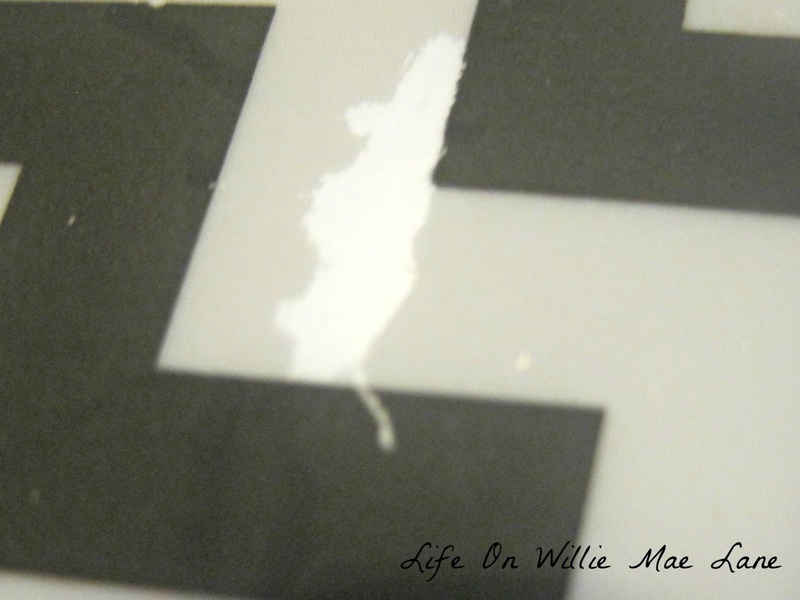 How fun to be able to fix up your own sweet little decorative cover! I'm commenting on a bunch of posts at one time since I finally have time to catch up with all my blog friends. - did you ever say where you were going on the cruise? I tend to read fast so I might have missed that. 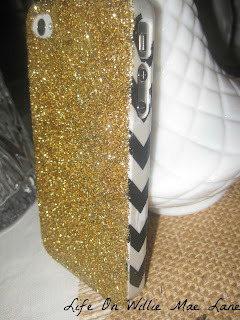 - love the iPhone case. My iPhone was stolen the last day of school out of my backpack. We tracked it with Find My iPhone and the principal went to the house of the kid and got it back, but not my $36 Kate Spade case. 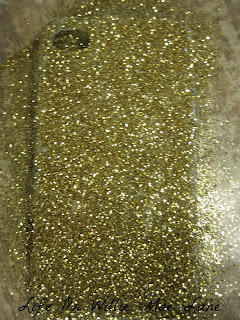 My phone is an old 3GS so I had trouble finding a case. I could replace the same Kate Spade, but didn't want to spend the $$$ again. 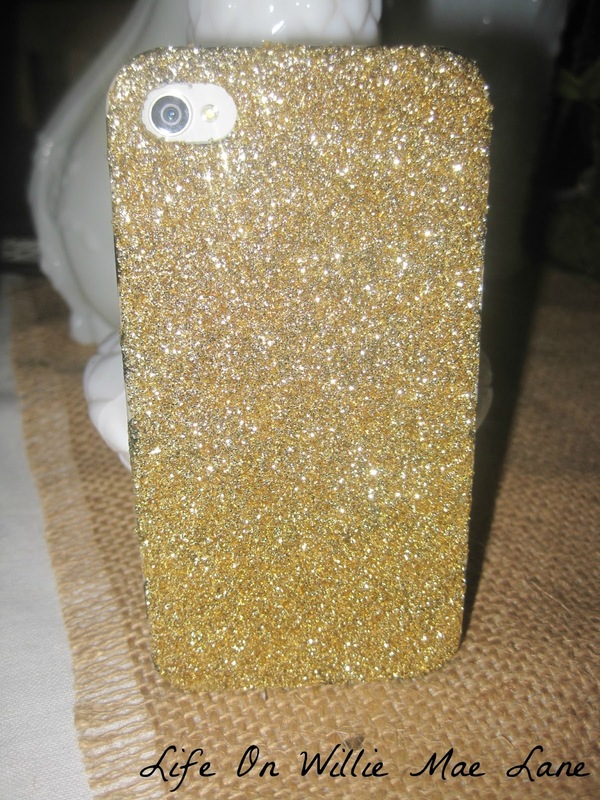 I wish I had a case so I could copy yours. What a fun idea and great way to repurpose! 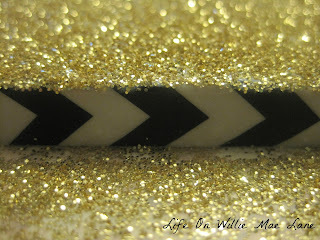 I love the glitter and chevron!! BTW- on Pinterest there's a recipe for spinach and mushroom lasagna roll-ups. It's heavenly and it freezes well too =)).